The design is a bit polarizing, to put it gently. Lamborghinis have had sharp, angular bodies since the Countach and are known for basically being fighter jets with wheels. With this car, the hard angles have been rounded and smoothed out to give the car a totally different look. Call me old fashioned, but I prefer the hard-edged Lamborghinis that look as though they were designed with nothing but a ruler and a double shot of testosterone. While this car is very rare and very expensive, I just don’t think it is all that good-looking. 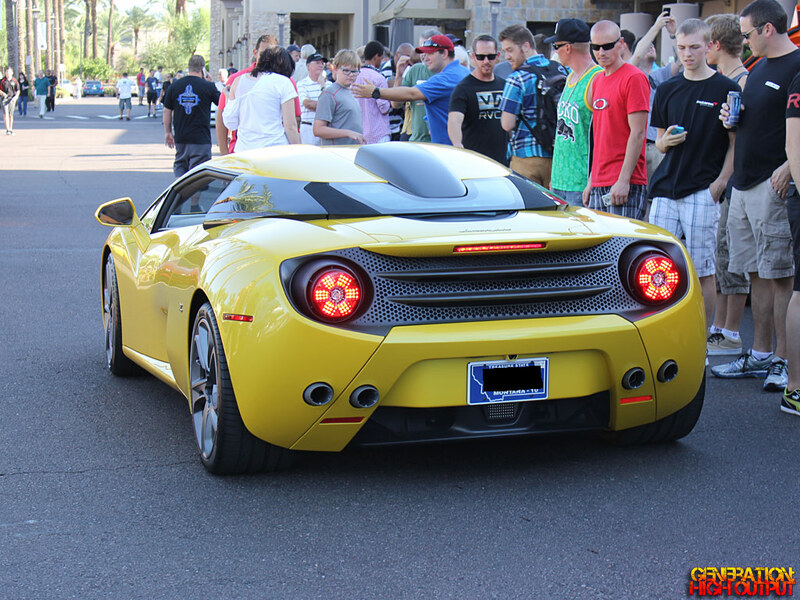 This entry was posted in Cars and Coffee, Supercars and tagged 5-95, Body Kit, exotic car, gallardo, lamborghini, supercar, Zagato by Trevor Freeman. Bookmark the permalink.